The Durban coast has miles and miles of beautiful sandy beaches. The busiest ones are those closest the city where the coastline is known as the ‘Golden Mile’. There are lots of amenities alongside the beach here with a huge promenade walkway packed with walkers, roller-bladers and joggers. The local police even travel around on Segways! On the South Beach, souvenir stalls are frequently set up along the nearby roadside with the best prices we found in Durban and there’s a small amusement park too with a cable car ride. Durban South Beach – Stretches from uShaka Marine World to the small amusement park mentioned above near the Garden Court Marine Parade hotel. There are lifeguards on duty at times and shark nets to protect swimmers. 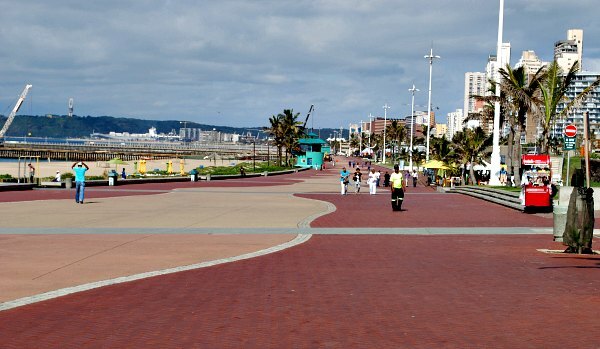 Durban North Beach – Stretches from the South Beach northwards and includes several piers, cafes, hotels etc. There are lifeguards on duty at times and shark nets to protect swimmers. 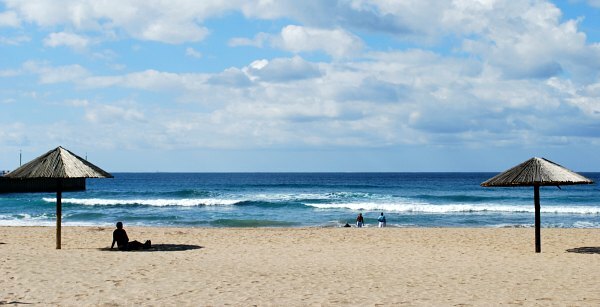 Umhlanga Rocks Beach – A few miles North of Durban, this sandy white beach is centred around the landmark of Umhlanga Lighthouse. There’s a beach side walkway to enjoy too, but also rocks near the lighthouse which create rock pools when the tide is out and a small pier. Northern Beaches – As you move further north you’ll find beautiful unspoilt stretches of sandy beach and on many of them you’ll be the only people there. 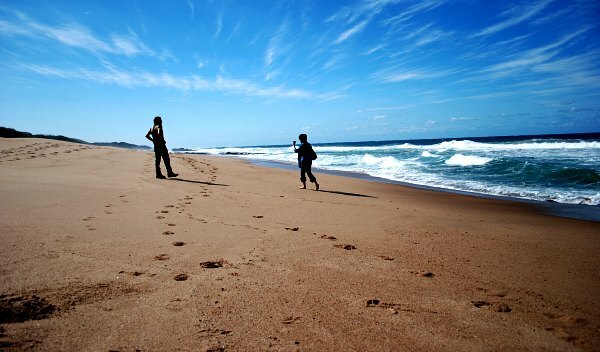 We particularly liked Blythedale Beach where the photo below was taken. It’s about an hour’s drive from Durban though. For surfers, there are plenty of options, one of them being the Bay of Plenty beach! Generally you’ll find that the surf is stronger on the southern side of the Bluff which marks the harbour entrance as this area receives the full force of the ocean. 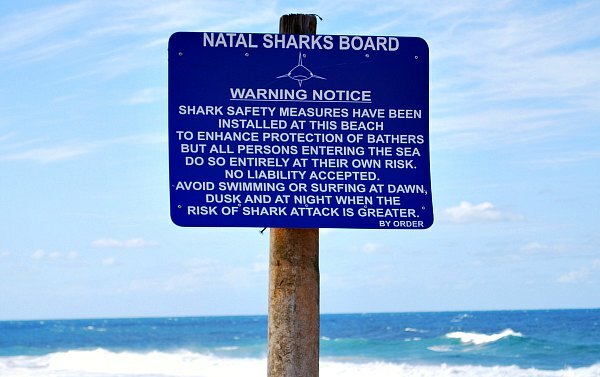 If you’re planning to spend time on any of the beaches around Durban, don’t take anything valuable and look out for the blue signs which tell you that shark nets are present. This map shows Durban’s North Beach but you can move it around to see other beaches and where they are in reltion to the city centre. Durban North Beach has several parking areas with ‘car guards’ who will keep an eye on your car for you. Tip them around 5 Rand on leaving.